So far Elsie Leung Oi-Se has been paid $632,000 by United Company Rusal to listen attentively, read carefully, and speak her mind at meetings of the main board of directors, and also the audit committee of the board. Rusal titles her an independent non-executive director. She is one of five of those on the 18-member board; one of the 5-member audit committee. According to her company biography, she is a lawyer by training and career. She has also been a politician in the Hong Kong government, the equivalent of minister of justice. First appointed to the Rusal board on November 30, 2009, when the company’s application to be listed on the Hong Kong Stock Exchange was running into difficulty, she was paid $16,000 for one month’s work. In 2010 she was paid $199,000; in 2011 $209,000; and in 2012, $208,000. She is the lowest paid of her peers, the other “independent non-executive” Rusal directors. Election of board members is on the agenda for Rusal’s annual general meeting (AGM) on June 14. According to the agenda paper issued by the company last week, 9 of the 18 directors are up for re-election. Of the independent directors, just two – Nigel Kenny and Philip Lader, first appointed in 2007 – have been proposed for reelection. Leung isn’t one of them. Because Rusal is listed on the Hong Kong Stock Exchange, the independence of its directors is defined and regulated by the rules of the exchange. These rules require, for example, that directors should “be answerable to the listed issuer for the application or misapplication of its assets”. Directors must “apply such degree of skill, care and diligence as may reasonably be expected of a person of his knowledge and experience and holding his office within the listed issuer.” That’s the Three Monkey rule against seeing nothing, saying nothing, hearing nothing. Rule 3.13(5 ) of the Hong Kong Listing Rules is the no-stooge rule. It is not allowed that an independent director “should be on the board specifically to protect the interests of an entity whose interests are not the same as those of the shareholders as a whole.” If Leung did what chief executive Oleg Deripaska told her, she would be in violation. If she fails to consult the minority shareholders – Mikhail Prokhorov (17.02%), and Victor Vekselberg and Len Blavatnik (15.8%) – she would fail to qualify as independent. One of the trickier Hong Kong rules relates to how much money a company like Rusal can pay its independent directors without compromising them and buying their complicity. According to the rule book, “independence is more likely to be questioned if the director… has a material interest in any principal business activity of or is involved in any material business dealings with the listed issuer, its holding company or their respective subsidiaries or with any connected persons of the listed issuer.” How much of Leung’s $630,000, and her expectation of more, amount to such a “material interest”? One of Leung’s votes as an independent director has already been challenged. The challenge is the action by Vekselberg and Blavatnik before the London Court of International Arbitration (LCIA). This charges that contracts arranged by Deripaska with Glencore for trading alumina and aluminium are disadvantageous to the company, and were taken in violation of shareholder agreements. Leung and other board members voted to approve the Glencore contracts in late 2011, but no record of them or their terms has been mentioned by Rusal’s external auditor, KPMG. The LCIA action commenced in April of 2012. What does an independent director do when major shareholders of the company are in conflict? 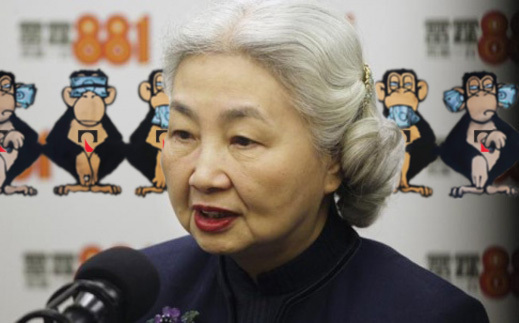 If Leung does nothing, she ceases to be independent and in violation of the Three-Monkey and No-Stooge rules. This is the charge against Leung by Vekselberg and Blavatnik reported in the Moscow press this week. Sources close to them confirm that on April 29 they wrote Rusal, formally proposing that at the AGM Rusal shareholders vote on a candidate to replace Leung. Their proposal charges that Leung has failed to act as an independent director. In her place, the candidacy of Dmitry Vasiliev (right) was proposed. Vasiliev is currently a director of Nomos Bank and a member of its audit committee. His training has been in Russia, UK and the US; in his corporate career he has worked at JP Morgan and Mosenergo. 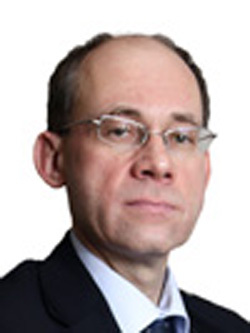 He has held an investment advisor licence from the UK market regulator, the Financial Services Authority. Leung was contacted by telephone at her office at the Hong Kong law firm, Iu, Lai & Lee. Asked if she would respond to questions about Rusal, she initially said these should be referred to Barry Cheung, a Hong Kong colleague on the board and its former chairman. Cheung is also listed by Rusal as an independent. His position on the board has been challenged by the Kremlin; he was replaced as Rusal board chairman last October. When told the questions referred to her service on the board and on the audit committee, Leung agreed to answer them by email, and she confirmed her address. 1. When does your current term as a Rusal director end? 2. Do you wish to continue as a director on the Rusal board? 3. Did you vote to deny the inclusion on the agenda for the AGM of a vote on your candidacy and on that proposed for Dmitry Vasiliev? 4. Your standing and record as an independent have been publicly criticized. How do you respond to the criticism? 5. During your membership of the audit committee of the Rusal board have you examined and approved all of the Rusal accounts? Have any accounts or details you have requested been withheld? Have you disapproved, objected to, or criticized any account items or issues? 6. As an independent director and member of the audit committee have you investigated and approved the amount of the claims on Rusal which the redeemable shareholders of RTI Ltd of Jersey currently hold? 7. As an independent director and member of the audit committee have you investigated and approved payments for aluminium between Rusal and UK limited liability partnerships (LLP), such as Maxberg, whose establishment and supervision by entities such as Inhold (Bahamas) and Milltown Corporate Services (Belize) have been publicly reported in the UK as agents of fraud and money-laundering vehicles? 8. As an independent director and member of the audit committee do you approve the payment by the company of the costs and operating expenses of the aircraft used by the Chief Executive Oleg Deripaska when on non-business and personal trips? Has Mr Deripaska been asked to provide the audit committee with a log of flights on company aircraft, and has he reimbursed the company for his non-business travel? For more details on the control the RTI redeemable shareholders exercise over Rusal’s accounts and cashflow, read the archive. Rusal’s use of UK limited liability partnerships (LLP) like Maxberg, and of Caribbean haven operators like Inhold and Milltown was first reported here. There is no reference in the Private Eye report to Rusal or Deripaska, and no allegation of wrongdoing is reported about or against them. Deripaska’s use of aircraft to fly to holiday destinations was documented here.